Do you know your body type and what looks good (and doesn't look good) on you? If not, this article will show you exactly how to dress for your body type. Body Shape is not generally something us men sit around a table with a latte in hand discussing; it is our female counterparts who seem to obsess over the latest diet or how to lose weight. Yet while us gents are, in the main, more comfortable with carrying a little excess baggage or do not get too hung up on being a little on the tall or short side, maybe we could learn a trick or two from our female friends. The crux of the matter is, it’s not the clothes we’re wearing that let us down but the ways in which we wear them; we fail to think about our bodies proportions and simply grab the standard size from the rail. Are you a square kind of guy or are you a triangle kind of guy? 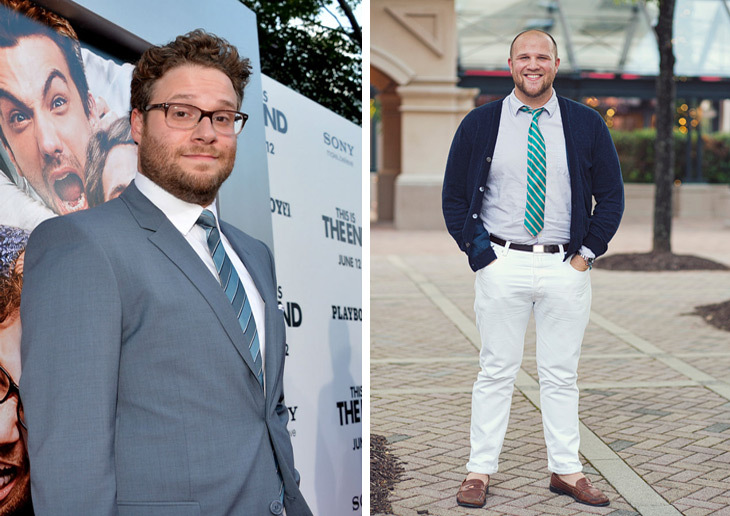 It sounds strange but understanding your body type will allow you to dress better. Fit is the number one principle when it comes to improving the way that you look but knowing your body type and knowing what looks good on you is extremely important. As a man, you’re typically going to fall into one of the five body types. The inverted triangle, the rectangle, the triangle, the oval and the trapezoid. 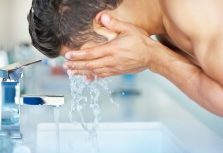 Understanding whether you fall into the category of tall or short and overweight or skinny is also important as what looks good on a short overweight man will differ from a tall, muscular man. Knowing your body type is simple. 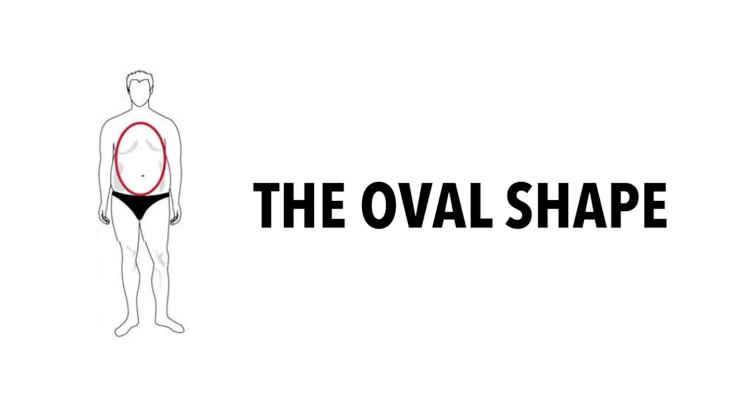 What shape does your body best represent? If you personally struggle ask for someone to help but simply lining up the below examples to your body type will help you discover what looks good and what doesn’t. The first one that I’m going to be speaking about today is the inverted triangle. With this body type, it’s all about balancing the proportions. You’re obviously someone who likes training upper body, you’re someone who likes to go and train shoulders, back, and chest, but with this body type and how you can dress for it, it’s all about balancing it as well as you can. The focus, the attention, is going to be on your upper body therefore it’s all about drawing that attention towards your lower body as well. What can you do to balance the proportions? One of the things you can do is wear a belt. Break up your outfits by wearing a belt. What this is going to do is it’s going draw the attention down towards the hips, which will take the attention away from your upper body. Double-breasted jackets are also something else to consider because this is really going to widen your torso. The double-breasted jacket has a lot of the detailing going on in the middle of the body. Again, this is going to draw the attention down and it’s going to widen your torso. V-neck jumpers and V-neck T-shirts will, again, have that same effect. They’ll draw the attention down and make your body more proportionate. All of the attention is going to naturally be on your upper body because this is your body type, so you want to be wearing things that are going to draw the attention down to make things more in proportion. In terms of what not to do, don’t wear skinny jeans. Don’t wear anything that’s very, very slim-fitting on the leg. This is simply going to focus and highlight the obvious imbalance that your body type has. The other thing is to avoid any jackets with extreme shoulder padding. Maybe an unstructured, very relaxed, sports jacket is going to be good for you. You want to avoid anything with a lot of shoulder padding because that’s just going to add to more of the focus being drawn towards this area here. 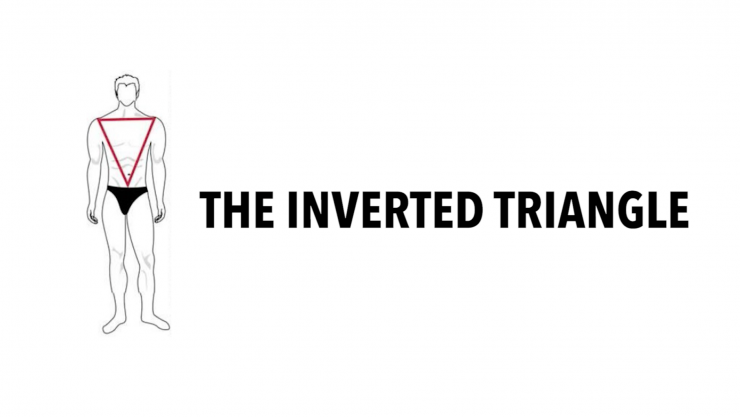 Your body type of the inverted triangle is all about creating more of a proportion, drawing the attention down towards the hip area, and that is going to be the best thing for you. The second body type is the rectangle, probably the least flattering body type out of the 5. 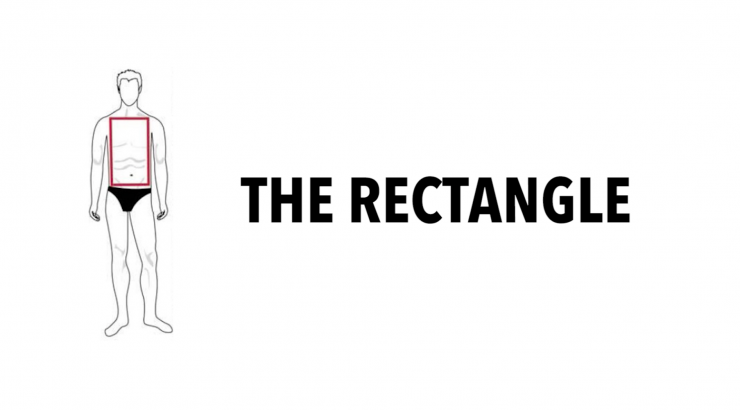 The rectangle is where you’re exactly the same width in terms of the shoulders and the hips and the waist. With this body type, it’s all about broadening the shoulders. You want to go complete opposite to the first body type and draw the attention up. You want to do all that you can to create more of a focus and broaden and widen your shoulders. The reason why you do this is because the trapezoid is the most flattering body type and broadening your shoulders will create a similar silhouette. Here’s a few options in terms of how to do this. The first way is to wear jackets that have a lot of shoulder padding on them, so the complete opposite to what I’ve just said. You want to wear jackets with shoulder padding on because, again, this is going to broaden the shoulders. 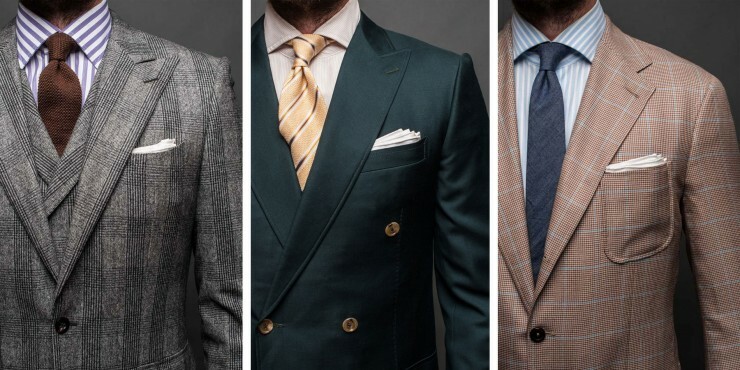 Also, wearing jackets or blazers with wider lapels is going to draw that focus up to your shoulders, again, really creating a better proportion. 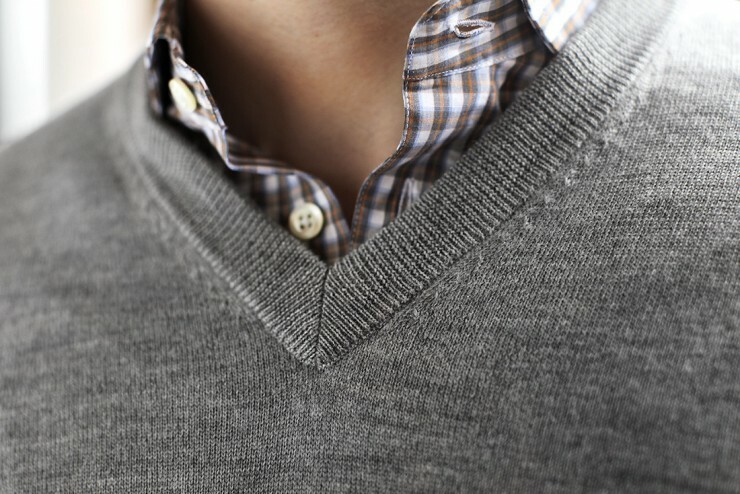 Layering up is something else to consider, and wearing a button-down shirt underneath a crew-neck sweater is something that’s great for really drawing the attention upwards. The other thing is making sure that your clothes fit you at the waist. What I mean by that is let’s say that you’re wearing a shirt, and the shirt is simply cut to just go straight. If it just goes straight down, all that’s going to do is highlight that rectangle shape. You want to make sure that if you’re wearing a shirt or a T-shirt or anything on the upper body that it’s tapered. It needs to be more fitted at the waist and more fitted at the hip area. 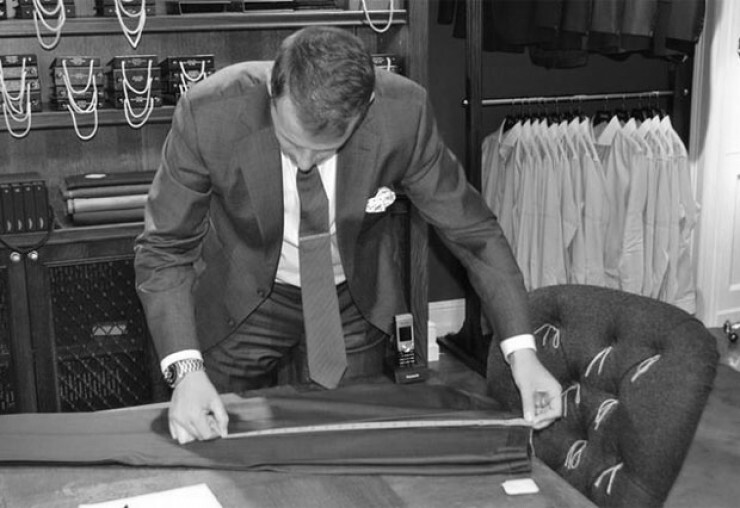 You can easily get any item of clothing tailored or altered to just simply come in and be tapered more down towards the waist. That is going to really broaden the shoulders and really help with the proportions of this body type. Wearing horizontal stripes across the upper torso is going to draw the attention upwards and also accessorising with scarves will help too. In terms of what not to do, do the complete opposite to the first body type. Don’t wear double-breasted jackets. Double-breasted jackets is going to just draw the attention towards your rectangle shape. You want to avoid double-breasted jackets at all costs. Avoid clothes that are shapeless and avoid clothes that mirror that rectangle shape. You want to go for things that are extremely more tapered, more fitted, and this is going to really help you with your rectangle body type. The third one is the triangle. 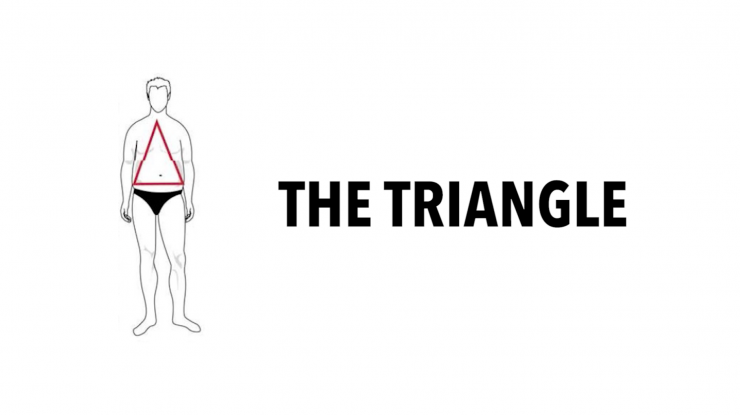 This body type doesn’t mean you’re fat, but the triangle shape has more of a emphasis towards the belly area. With this body type you’re wider at the hips and waist than you are on your shoulders and chest. If this is you, simply stop drinking so much beer, lay off the cake, and start exercising. No, honestly, what you need to do is draw the attention upwards. You want to draw the attention away from that belly. You want to draw the attention away from your waist and draw it up towards your shoulders. Wearing vertical stripes on your clothing is a really good way to streamline this body type. 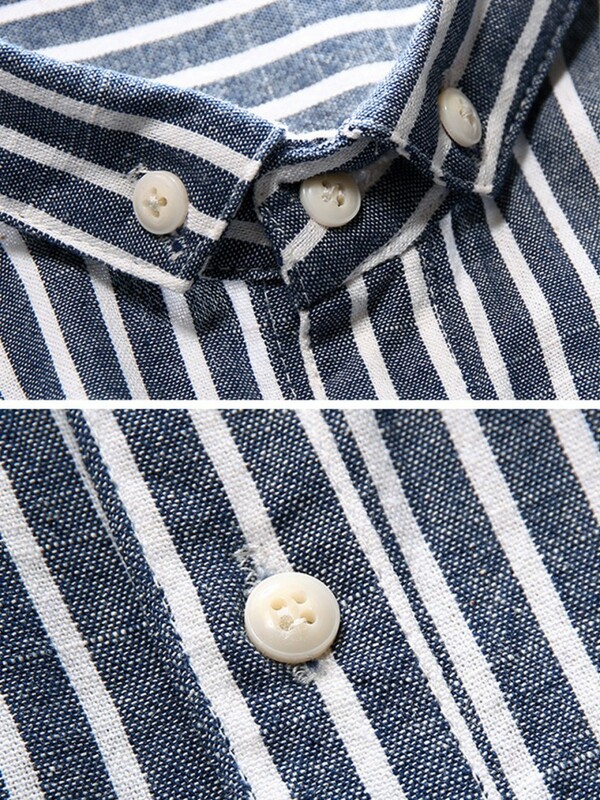 Vertical stripes are going to draw the attention upwards. Also wearing horizontal stripes on the upper torso is going to draw that attention up towards your shoulders rather than your waist. This body type is very similar to the last body type. 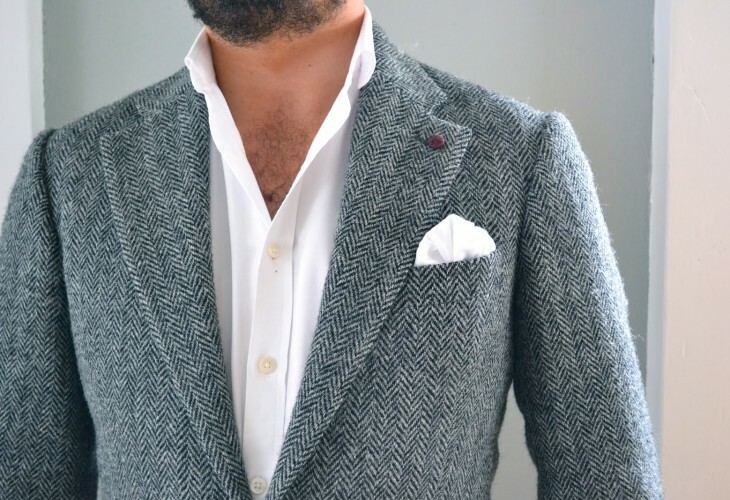 You can also wear jackets with a lot more padding on the shoulder area, making sure that if you’re wearing a blazer, a sports jacket, an overcoat or even a casual jacket like a Harrington jacket, that you’re focusing on it being more structured on the shoulders and having maybe some padding to really broaden that width. Wearing brighter colours on the upper half of your body (from the chest upwards) is going to draw that attention up. Having more detailing on your clothing on the upper half is going to have the same effect. You can also get away with wearing more slim-fitting colours on the lower half. That’s going to make the mid area of your body look a lot slimmer by wearing colours such as dark grey, navy, and black. These colours are going to create more of a slimmer effect on the area that you’re trying to hide. In terms of what not to do for this body type, I advise avoiding wearing roll necks and also avoiding polo shirts. The reason why I say this is because this is going to slenderise the neck and also the shoulder area and it’s really going to accentuate the roundness in your waist. Also wearing horizontal stripes across the stomach will really accentuate that area, alongside wearing heavily tapered trousers. If your trousers are heavily tapered at the bottom, it’s really going to widen the central area of your body. The fourth one is the oval shape, more of a rounded shape. If this is you, you want to focus on lengthening the torso, broadening your shoulders for more of a defined look. A few ways that you can do that is wear vertical stripes or even pinstripes. Vertical stripes and pinstripes are not only going to draw the attention up towards your shoulders, they’re also going to lengthen your body. Also making sure that you wear trousers that fit you is another thing to consider. The reason being is because if you’re wearing trousers that are too long for you, it’s going to leave a lot of unwanted fabric when it breaks at the shoe and that’s going to draw the attention towards that. Not only that, but that’s going to shorten your leg length. It’s going to shorten your overall length. Like I’ve said with the oval shape, it’s all about extending it as much as we can. In fact the main thing that you need to focus on with this body type is making sure that everything fits well. If your clothing doesn’t fit well in terms of the sleeves, the overall fit, the trouser length and so on badly fitting clothing is going to make you look out of proportion. You want to make sure that everything fits to the finest detail that you possibly can. If everything fits well it’s going to give you more of a defined look. That’s what you need to be doing if you’re an oval shape or a rounded shape. In terms of what not to do, don’t wear boots. I know a lot of guys do like wearing boots, they think it adds a bit of masculinity to an outfit, but you want to avoid it because if you’re a rounded shape and you’re very short boots are going to shorten your leg length. You want to do all that you can to extend it. Also don’t wear coloured or statement belts because this is going to draw the attention towards that rounded shape. You want to avoid wearing statement belts. Go for something a little bit more classic, a brown leather belt or a black leather belt. This is going to be more understated, and it’s not going to draw attention towards the areas that we don’t want it to. Don’t wear double-breasted jackets as well. This is really just going to accentuate the oval body type that you already have rather than balancing the proportions. 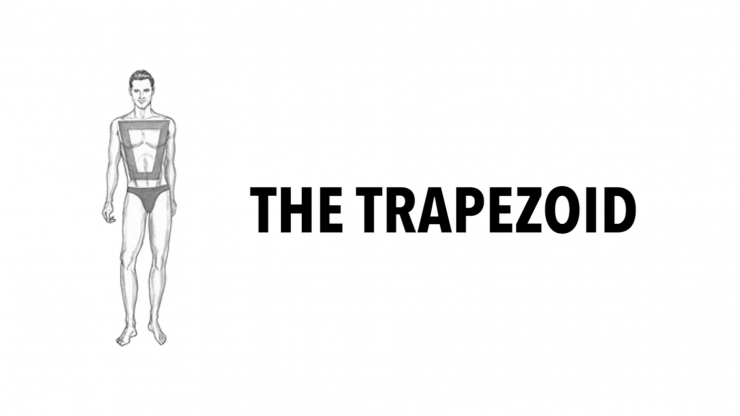 The final one is the most desirable body type, and that is the trapezoid. This really is you being sample size, you being able to walk into any store, picking out a shirt and it fitting you almost perfectly. This body type is all about having broad shoulders, a broader chest, but then a gentle taper down towards through the hips and through the waist. With this one, I’ve got some good news. You don’t need to worry about the dos and the don’ts. All you need to focus on is making sure that your clothing fits you well. Focus on the principles. What about height? What about weight? Here’s some additional advice if you’re struggling to pinpoint what body type you are. For the man who is a little on the short side, it’s all about accentuating the height you do have. The key is to wear slim fitting clothes. There is no point wearing a large blazer and baggy jeans, keep the shape skinny or slim, wear boxy, shorter length t-shirts or sweaters. Also keep cuff and hem lengths short – something which happens to be all the rage at present and will ensure you are not drowning in excess fabric. This may seem somewhat obvious but it’s basically about doing the exact opposite of what a short man would do. Leave a little more excess in your shirts and t-shirts, anything too fitting will just make you look taller and try not too wear anything too slim, unless the beanpole look is the one you are after; there is nothing wrong with going a size up. You should also avoid long, pointy shoes, they will just exacerbate the problem, the round toe shoe is most certainly the way forward for taller men. For you larger men who think that by wearing baggier clothes you’re hiding those extra pounds, you’re not. If anything you just look a little unkempt and those excess fabrics rolling around just add to the problem. Keep your clothes simple, do not add lots of stripes or checks in your choice of shirts and keep your fabrics lightweight – especially in those summer months. 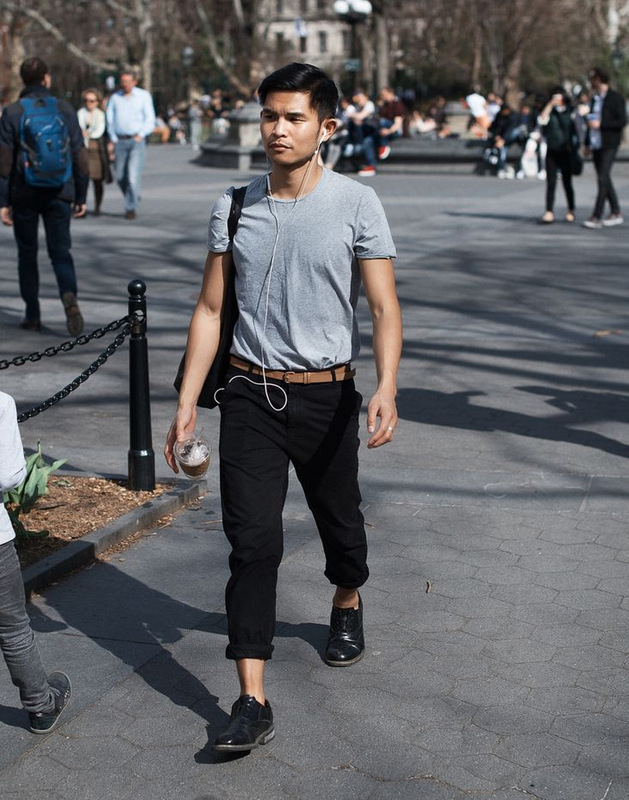 The muscular man may be incredibly fit and spend his spare time down the gym in lycra but when it comes to everyday dressing, those bulging muscles can often get in the way of a stylish outfit. 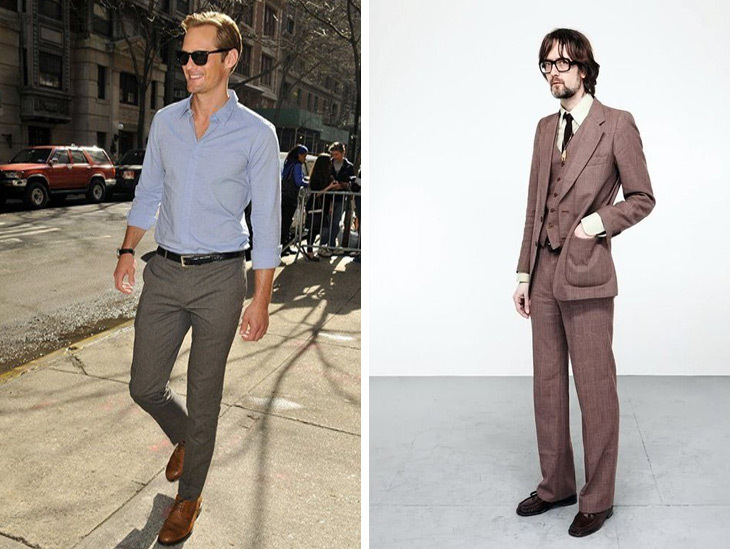 Those broad shoulders and large biceps can often hinder a man’s style, so once again it’s all about proportions. Avoid skin-tight tops and skinny jeans, they really aren’t too flattering, while horizontal stripe tops help to spread the bulk of your frame. Light colours and plain fabrics will also help in lightening the load and there is nothing wrong with buying products that have a little stretch fit in them to ease the load. We can quite often get lured into thinking that style is all about the clothes you wear and the brands you are wearing. In actual fact, the essence to good style comes down to knowing your body shape and admitting that, on occasion, no matter how much you may like a particular item of clothing, it just does not suit your frame. Clothes are essentially about looking good and therefore feeling good. The same can be said for our body shapes; if you wear something that suits our frame you are going to feel far better than something you’ve squeezed into or looks like you’re wearing a tent. If you enjoyed this article let me know in the comments below! Do you want to be the first to see videos as they go live? If you want to be the first to watch videos and see features like this subscribe on YouTube by clicking the image below. awesome. This word suits you. I dont like reading but this is the only thing that I am reading everyday. I am only 5’3″. And little bald. I have no idea how to wear formal and which color. pls suggest me some good color. For formal for casual and formal. And what about skinny (non muscular) men? …hello just wanna sey I love the article quite inspiring ok am slim n tall n skinny kindly advise on what to wear from formal to casual clothes…. First of all, it’s personal to you how you like to be perceived by others and the colors that suits your skin complexion. For a tall, slim guy first thing to look at is the body proportion. I would suggest low waist jeans or trousers so the legs don’t show too long and a fitted jacket not too long but stands slightly above the waste so the fit harmonize with the rest. 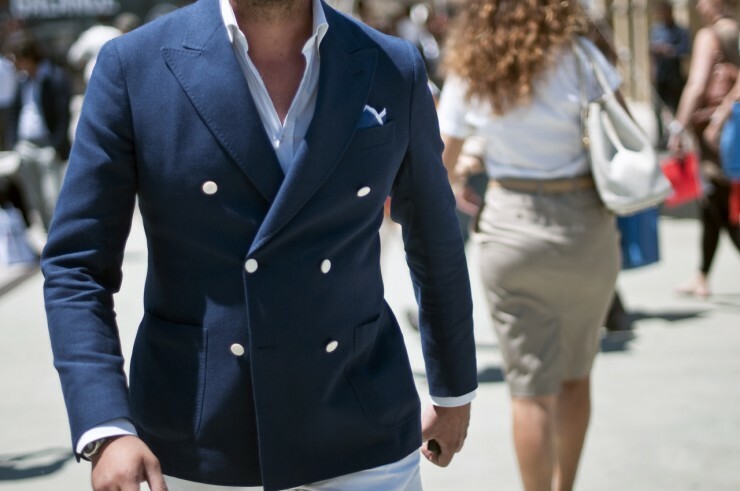 A fitted shirt preferably white, light blue or any neutral color and a thin tie if you choose to wear a suit. As for shoes, derby classic or with buckles if wearing a suit and boots either suede or leather if wearing casual. As for week-ends, flat shoes trainers like slim jeans, vneck jumper with a mi length coat. Don’t forget to add accessories such as scarf, sunglasses if needed and a nice watch.